"To the tune of Sing A Song of Sixpence"
Learn about the secrets there for you and me. It's fun to make and fun to do, so come and take my hand! This will make a base for all that will go in. Making compost in the yard can be so much fun! Sprinkle bits of water all in between. Then you let it sit and cook for months without a care. The compost pile will cook and you know it will get hot! Red wriggler worms they like it quite a lot! Miraculous and magical, a wonder to behold. Only dirt so rich and black, how soft it really feels! Vitamins for vegetables, the soil it really feeds! Gives an extra feeding for tomatoes on the vine! Finding all the magic underneath the sun. ​Tell your friends about it all and share the recipe! How do your branches reach up so high? 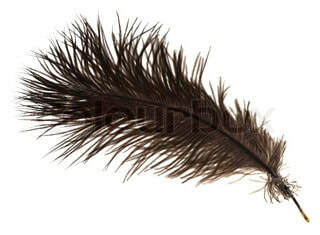 Do you ever wish that you could fly? We have a lot of roots, but we sure can try! Back and forth across the sky. You have a lot of roots but you really can fly! But one was pointy too! ​But did not have a strap! He is quiet like the snow and stands so straight and tall. Tall and pointy like the hat of a garden gnome! Caps and hats of snowy white of every shape and kind. What does the winter garden do all day? Nothing much to hear, it doesn't make a sound. Grey and brown makes me feel all glum. Then a voice said "ho!" Take a little moment now and say 'hello!'" He said "I am the one who tends the root!" But just you wait til one spring day!" And you'll see flowers in the month of May!" And burrowed down below to his earthen home. The garden really DID have a lot to say! It has now been three months since the publication of my first children's book A Boy and His Tree. During the time of all the stages leading up to the publication, there have been many joys and many bumps along the way. There were skills learned while writing, editing, sketching, photographing and formatting. Also new vocabulary and technical skills learned too! Not to mention timeless moments of walking, pondering and dreaming of the characters, the setting, and most of all, the message. This time of creating was was not unlike a pregnancy. There were many people along the way who supported me and encouraged me. And there times of solitude, where I was in my studio working on illustrations and doing them over and over, letting go of pieces and moving forward with new ones, always exploring, editing and discovering. I still remember the moment I picked up my boxes of books at the printers in Denver. When I held the hard cover in my hands and turned the pages, I could hardly believe it had happened. My dream had actually come true and I was holding a real book in my hands, One that I had dreamed of creating from start to finish. I cried gentle tears of joy. It was like giving birth. I wrapped up those boxes in my car and sang sweet lullabies to them as I drove back to Boulder, oblivious of rush hour noise and traffic and simply wanting to imprint each book with love. Then, the next set of skills needed to be learned: how to promote and get the word out and send them out in to the world. Many people have helped support the purchase of A Boy and His Tree, from family and friends to teachers and parents in local schools. Even the Longmont Yarn Shoppe, where I have taught many felting classes in the past was a happy supporter of my book! And new friends and have come my way through word of mouth. The book has traveled near and far, from its hometown of Boulder, CO to Canada, New Zealand, Australia and the Czech Republic. Like raising a child, this has been a process of tending and watching it mature and leave home, to travel to places unknown, trusting that it will be held and loved by people of all ages. Thank you to every person who helped make my dream of A Boy and His Tree come true. But like with any book, the story comes alive when it is held and cherished and shared with others, preferably with a warm cup of tea in your favorite chair. George and Grandpa Russ would approve. I am humbled by the array of words of appreciation that I have received in the last few months. What strikes me is how different aspects of a story speak to different people. Every person is touched in their own way and receives a healing element according to what they need. I would like to share some of these impressions with you, from parents and teachers of all ages. Enjoy! "I read your story and felt George's love for his tree, his family and his interest in doing every day things. 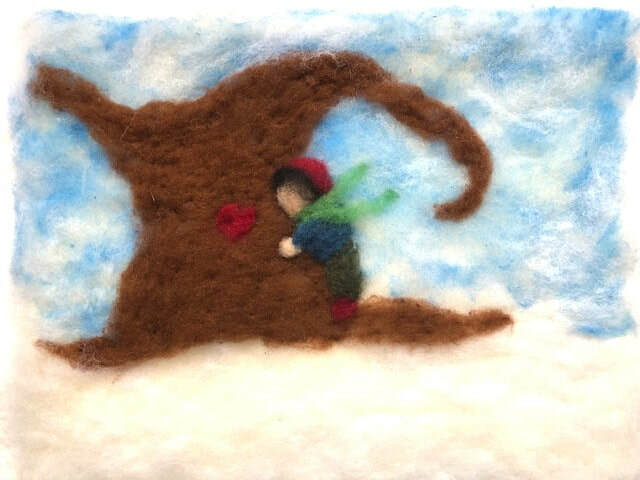 Your felted images left something for the imagination of young children to catch." "I'm like that old tree! 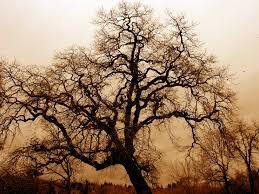 I felt comforted reading how George loved his grandfather AND his tree." "Thank you for such a beautiful gift and reminder to the world. It really touched on how everything is so connected and that gratitude is one big circle." "Addy and I have thoroughly enjoyed reading your beautiful book. She is really entranced by the images and the story is so soothing.We have read it many times already." Until the winter season came and there was no more green. And I can look between them now and something new is there! and say "how do you do!" I sit and wait a little while in and what do you think I see? I smile at them and twinkle back with my happy eye! But now with spaces in between I even see the moon!" A way to look, a way to see what really lies behind. Who knows what waits behind the trees when there is no green? Clouds and stars and skies of blue in spaces-in-between. Everything had turned to white, a winter wonderland! Standing neatly in a row on pine and cedar sprigs! Ready for the winter ball, even thistle weeds! Made me stop and take a look and give a happy sigh! ​I held them in my hand. Suddenly had changed to white and wore a silver gown! ​Such delight you gave to me on this winter's day! The first one said "Oh, I feel great!" The second one said "I too feel fine." The third one said "I really like to shine!" The fourth one said "I'm juicy and sweet!" The fifth one said "we are a yummy treat." And one by one, she ate them all up! Announcing my new children's book! a boy, a tree and the gift of giving. Soft cover edition, 32 pages, for children ages 3 to 8...and for the child in every human heart! All illustrations are lovingly needle felted with natural wool fibers. Simple images for a young child to dream into. Put on your walking shoes and cap and go outside for a walk with George. See what is blooming in his winter garden. Discover the power of giving with a special kind of friend. Order today to receive this treasure by Christmas! The green beans they did run and run, up the poles so high! I learned to walk, I learned to run and even how to jump! I learned to speak and sing among the violets so blue. The Lilies of the Valley they grew up right up to my knee. My hands were yellow, buttery bright from dandelions galore! To water the geraniums that grew in pots and pans. Crawling on the peony buds and other kinds of plants. Asparagus grew tall and green mid soft and feathery ferns. where apples grew in autumn time for our family. Gave us loads and loads of fruit, we liked them quite a lot! The first money I did make, it really was a thrill! I do not count them anymore, the numbers are too high! Of memories in the garden green from ages one to ten! Mother, kindergarten teacher, artist, writer, gardener.